There's something thrilling about the idea of buying land—raw, untouched property which you can call your own. 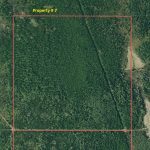 If you are seeking large parcel ownership in a secluded wilderness setting in Northeastern Ontario free of noise and pollution, then you should talk to us about this outstanding opportunity to own a large land grouping. If you are looking for an investment opportunity to hold land for 5 to 10 years or longer hold then perhaps you should talk to us about this large land package. Owning private hunting land allows you to create a real and lasting legacy on your property for generations after you. Whether it’s a small hunting shack situated on 40 acres “up north” in the woods or simply the family farm you grew up on, owning private land is a real blessing. You have so many possibilities before you. Even if you only intend on selling it instead of keeping it in the family, managing your property for timber, wildlife, or other purposes often adds value to it, which you can recoup upon sale. 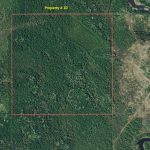 A huge landholding comprised of 11 properties for a total of 1.557 acres. The 11 properties are spread over 4 different townships. 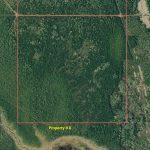 Check the PROPERTY MAP showing all the 11 parcels of land. Surface Rights come with this property. 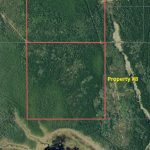 Mineral Rights come with this property. (Note; there is a 2% net smelter royalty to a previous owner). 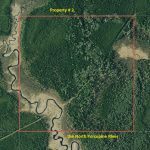 This property has about 2,000 feet or about 610 meters of the North Porcupine River flowing through the southeast corner. Tree Rights come with this property except for the “pine trees” which are reserved to the Crown. 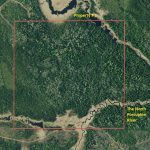 This property has about 2,400 feet or about 740 meters of the North Porcupine River flowing through the southwest corner. 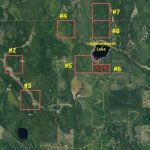 Mineral Rights come with this property (Note; there is a 2% net smelter royalty to a previous owner). 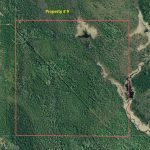 This property has about 1.2 kilometers or about 4,190 feet of the North Porcupine River flowing diagonally through the easterly section of the property. 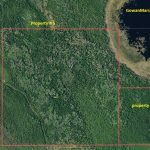 Mineral Rights come with this property. The northeast corner of the property touches GowanMarsh Lake. 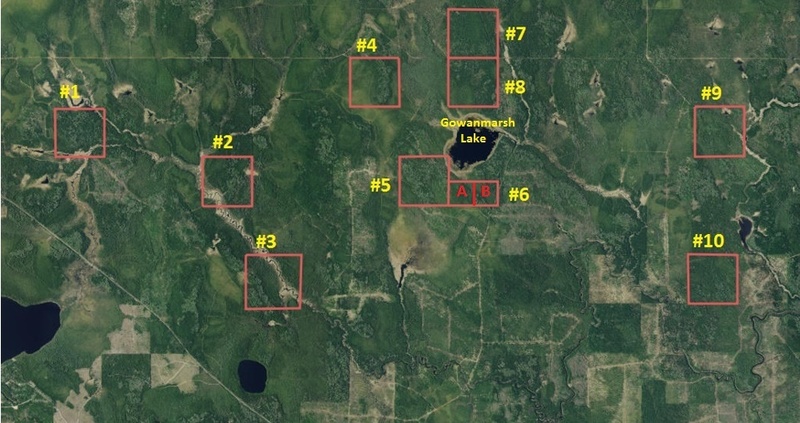 ALL THESE PROPERTIES TOGETHER TOTAL 1,557 ACRES. TREE RIGHTS come with all the properties except for the “pine trees” which are reserved to the Crown. That reservation does not affect these properties as there are NO PINE TREES ON THESE PROPERTIES. Note; there is a 2% net smelter royalty to a previous owner on 4 of the properties. None of the 11 properties have had the trees harvested. These are all wooded properties. A good opportunity to have the trees harvested and recover a good portion of the purchase price. If you want to recover some of your investment then harvest the wood on these properties or have it harvested by a timber contractor who will pay you a stumpage fee (royalty) to harvest the wood. 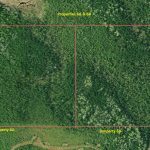 We have a Foresters report showing the types of wood and the amount of available wood within this land grouping. There is a “Pine Tree” reservation to the Crown on all the properties but in the areas where these 11 properties are located there are no “Pine Trees” so the reservation does not affect any of these properties. If you are going to buy these properties to harvest the trees then most likely the harvest would be a winter harvest when it will be easier to construct winter roads. 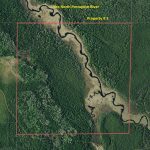 The North Porcupine River flows through three of the properties and there is some considerable river frontage. We mention that there is a 2% net smelter royalty to a previous owner on FOUR OF THE PROPERTIES. What this means to you, is that if you, as the owner of those four properties enter into a mining agreement with a mining company and say you negotiate a 4% net smelter agreement in the event a mine develops then you will have to share 2% with a previous owner of those four properties. If however, you don’t enter into any mining agreement of those four properties then nothing happens. There is nothing to share and life goes on and you carry on doing whatever you had planned for these four properties. 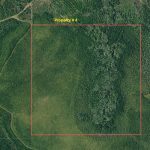 When you divide the asking price by the total number of acres you will find that the price per acre is an incredible $167 per acre!! That is so reasonable that some people might say that it is CHEAP! NEED HELP TO BUY THIS LAND HOLDING? The seller is willing to finance this sale to a qualified buyer . On a purchase price of $260,000 Canadian the buyer would have to have at least $92,000 Canadian down payment. The seller will hold AN OPEN MORTGAGE for the balance $168,000 Canadian at an interest rate of 8%. On a 5 year term and a 5 year amortization the mortgage payment would be $3,395.98 per month. On a 5 year term and a 10 year amortization the mortgage payment would be $2,026.77 per month. On a 5 year term and a 15 year amortization the mortgage payment would be $1,592.90 per month. You choose what is best for you or talk to us to customize terms. For our American Buyers, our seller is willing to do a sale in US Dollars. On a purchase price of $195,000 USD the buyer would have to have at least $68,000 USD down payment. The seller will hold AN OPEN MORTGAGE for the balance $127,000 USD at an interest rate of 8%. On a 5 year term and a 5 year amortization the mortgage payment would be $2,567.20 USD per month. On a 5 year term and a 10 year amortization the mortgage payment would be $1,532.14 USD per month. On a 5 year term and a 15 year amortization the mortgage payment would be $1,204.14 USD per month. Just remember..If you’re fortunate enough to own some private land hunting ground, you should be very thankful. DON”T LET THIS OPPORTUNITY PASS YOU BY!